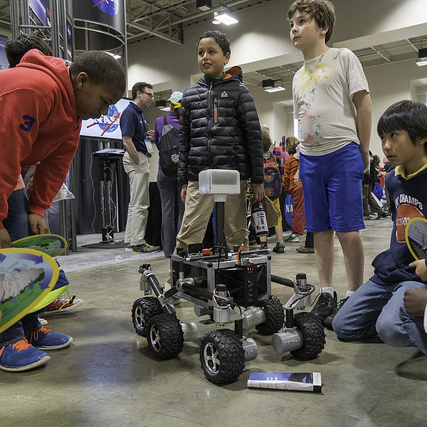 Put together your own remote-controlled Curiosity rover with the help of the NASA Jet Propulsion Laboratory and a Raspberry Pi. Why wouldn’t you want one of these?! 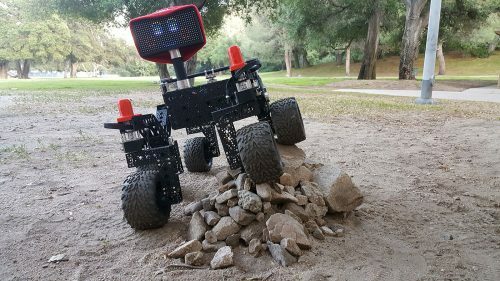 To educate the curious about the use of rovers in space, the Pasadena-based NASA Jet Propulsion Laboratory (JPL) built a mini-rover, ROV-E, to tour classrooms, museums, and public engagement events. And so engaged was the public by the rover and its ability to manoeuvre harsh terrain, rocks, and small children, that the JLP engineers have published a building plan that allows rover-enthused makers to build their own for around $2500 using off-the-shelf parts. The JPL open-source rover is a scaled-down model of Curiosity, the car-sized rover currently on day 2187 of its mission to explore the surface of Mars. The Mars rover sings Happy birthday to itself on 5 August every year, and this fact breaks out hearts! The rover uses a variety of tech makers may already have in their arsenal, including USB cameras and a Raspberry Pi. JPL’s design also gives you the option to swap out components with alternatives. We chose a Raspberry Pi to be the ‘brain’ of this rover for its versatility, accessibility, simplicity, and ability to add and upgrade your own modifications. 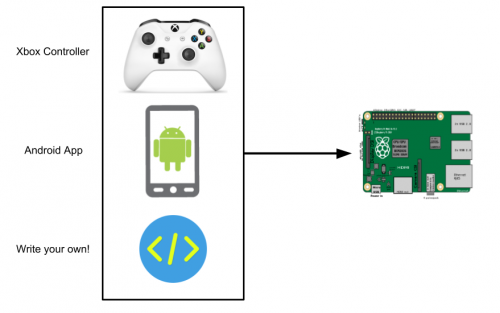 Any method with which you can communicate with a Raspberry Pi (Bluetooth, WiFi, USB devices, etc.) can be interfaced into the control system of the robot. 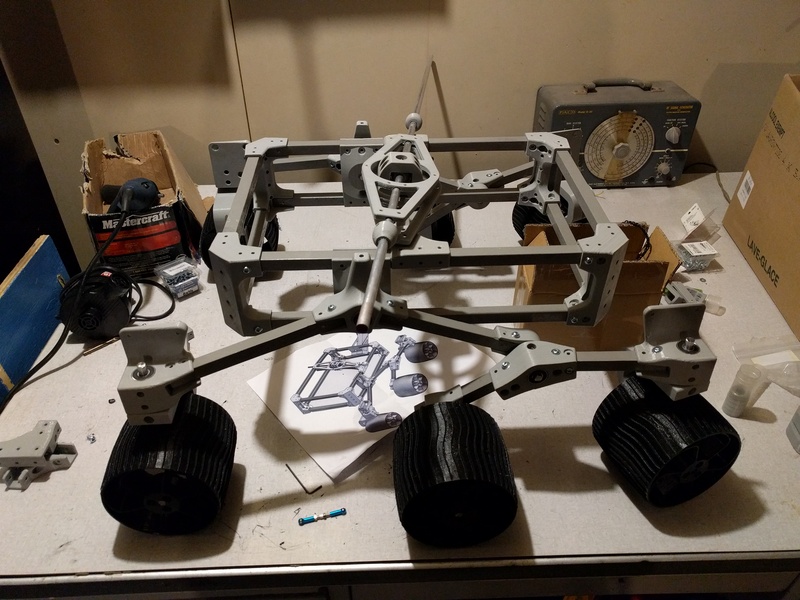 Full plans for the six-wheel rover are available on JPL’s GitHub, where they also list all parts required, final specs, and supporting info such as links to the project forum and parts suppliers. You can also visit the official project website to control your own rover on the surface of Mars…a simulated rover, of course, but one can dream! We need to build this at Pi Towers. No question about it. We NEEEEEEED it. Oh gosh, I’ve always wanted to build a Pi-powered WALL-E! 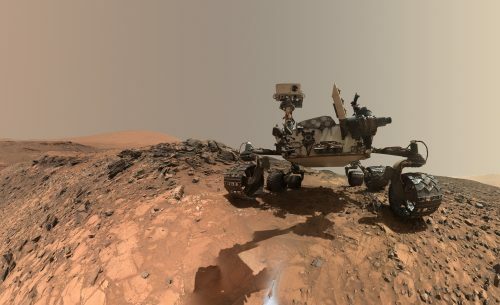 Cool story — but for the record, Curiosity sang “Happy Birthday” only once, not every year. Thanks for continuing to bring us such fascinating Raspberry Pi news! Saw this on the Register yesterday morning, posted details in the general section on the forums and whilst plenty took a look, nobody was interested enough to comment. This is a great project, which I’d love to add to our MakerSpace project list. I am a bit disappointed that so many of the parts that could have been 3D printed, instead need to be purchased from a hobby supplier in the USA. I’m going to try to reverse-engineer these parts. It's okay to say it's cute, yes?